At Drummond Marine, we know that you rely on us, so we rely on the best names in the marine business - Honda Marine Engines, Suzuki Marine, Mercury Outboards and Yamaha Marine Outboards. We proudly represent the most well-built, reliable and fuel efficient outboards in the marine industry. When you purchase an engine from Drummond Marine, rest assured it comes with unparalleled service and support. As one of the first full-line Honda Service Centers in Michigan, we have been providing Certified Honda Services since 1999. Our certified technicians, dealer preparation procedures, cockpit rigging standards, electronics specialists and on going customer service are Setting the Standard for Superior Service in the marine industry. 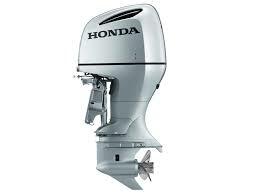 Click the links below to check out our Outboard partner catalogs. Or better yet, please give me a call, Dennis Drummond (616) 494-0814. I would be happy to assist you!